Decking or garden parquet is a modular wooden covering consisting of wooden elements securely attached to a base. The base has built-in locks, grooves, which allow you to easily and quickly build a flooring of wooden modules on any hard surface, while receiving a “floating” wood-lined surface. Decking tiles do not require any attachment to the surface on which they are laid, so installation is possible with minimal surface preparation, effort and time. From the materials and services offered by the company, you can choose a more economical, but not less beautiful variant of decking – this is decking from hardwoods of oak or ash wood. A harmonious combination of the exterior of a private home, landscape design and the surrounding nature is an important condition for a comfortable stay in the house. The base not only allows the water to flow freely under the tile, but also allows the wood to be raised above the surface, minimizing any potential problems such as buckling or twisting, which can sometimes occur if the wood remains in contact with water for extended periods. The open structure of the plastic base ensures good air circulation, which, combined with the use of high-temperature wood in our decking, makes mold in damp places impossible. Elements of wood are fastened to the plastic base by means of corrosion-resistant screws that fasten the wooden component of the decking onto the plastic base from the underside of the decking tile. This type of fastening ensures the reliability of the structure, as well as the smooth and free from any fixing elements external surface. 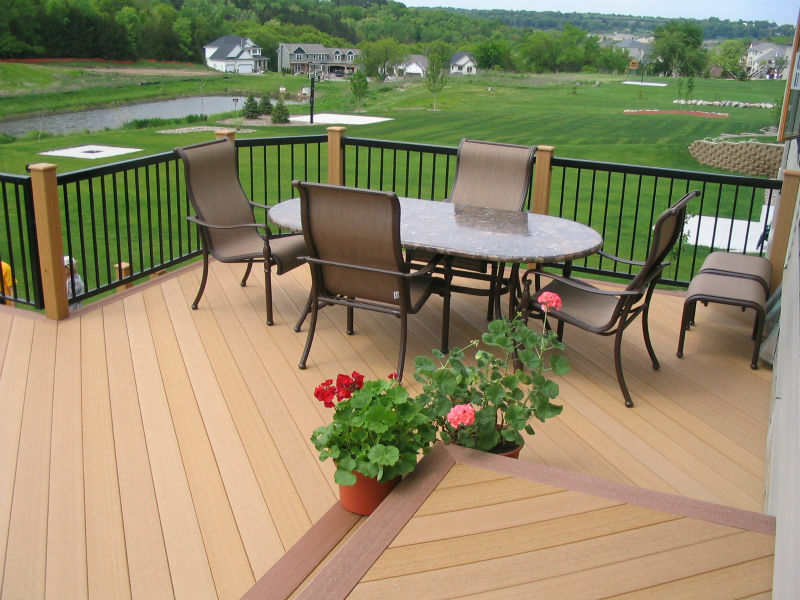 Call OLeary and Sons to start building your deck base today! They will show you which kinds of materiel are the best for your needs, and walk you through the options.